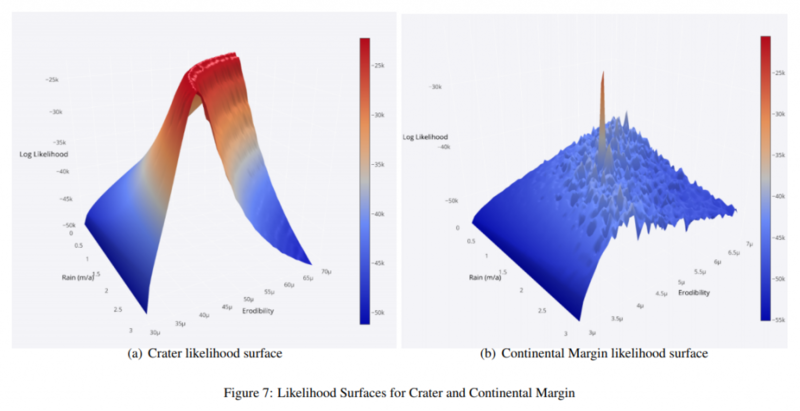 In recent years, the Bayesian inference has become a popular methodology for the estimation and uncertainty quantification of parameters in geological and geophysical forward models via the posterior distribution. 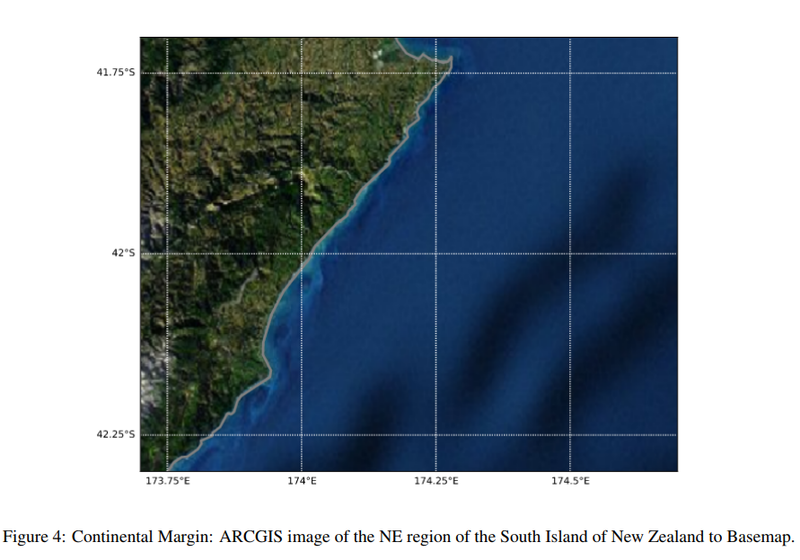 Badlands is a basin and landscape evolution model for simulating topography development at various space and time scales. This workshop will present BayesLands which provides a synergy of Badlands with Bayesian inference for estimation and uncertainty quantification of parameters in Badlands. 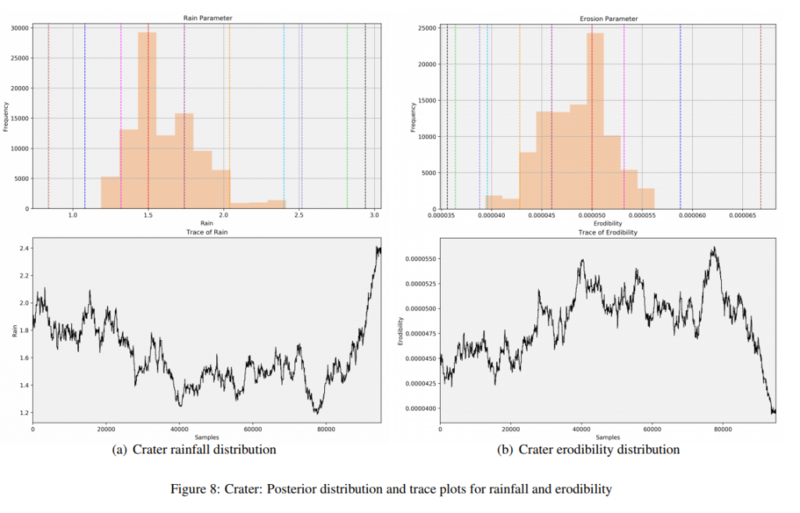 Parallel tempering is a MCMC method that is able to escape local minima and sample multi-modal distributions. Moreover, they are more suitable to have multi-core implementations that can speed up the sampling process. BayesLands features parallel tempering implemented in a high-performance computing architecture that utilizes parallel computing features to reduce the overall simulation time. 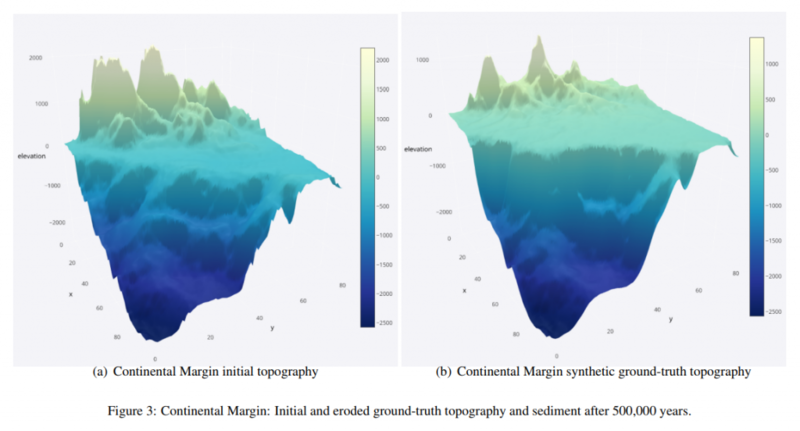 Parallel tempering Bayeslands not only reduces the computation time over the multi-core architecture but also provides a means to improve the sampling process in a multi-modal landscape. This makes motivates its usage in bigger problems in landscape evolution that can span millions of years and requires more computation time. Note that the Workshop will be conducted using Python. The exact venue will be updated later with those who register. We will also give some pre-workshop information about Badlands installation. A laptop with python and related dependencies would be needed for the workshop. More information will be emailed after registration. Online participation: with Zoom video conferencing.